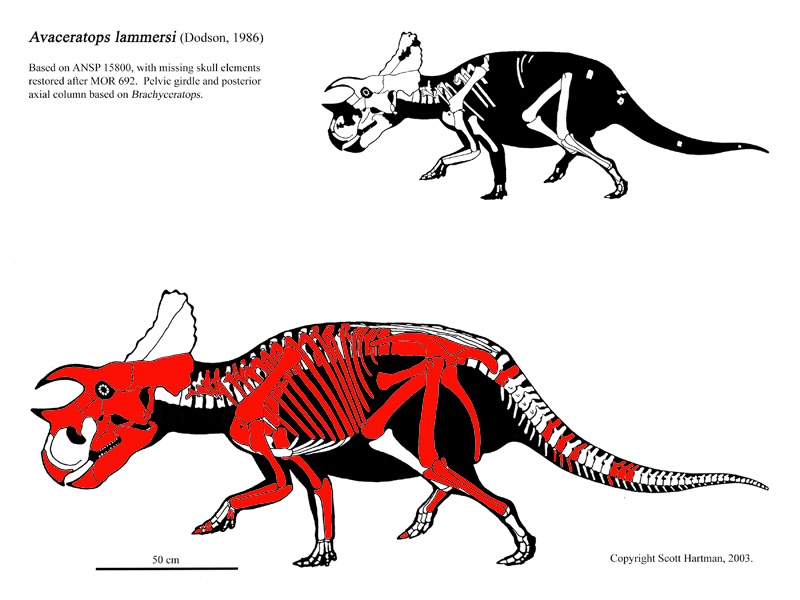 RMDRC paleo lab: Avaceratops now has skin! 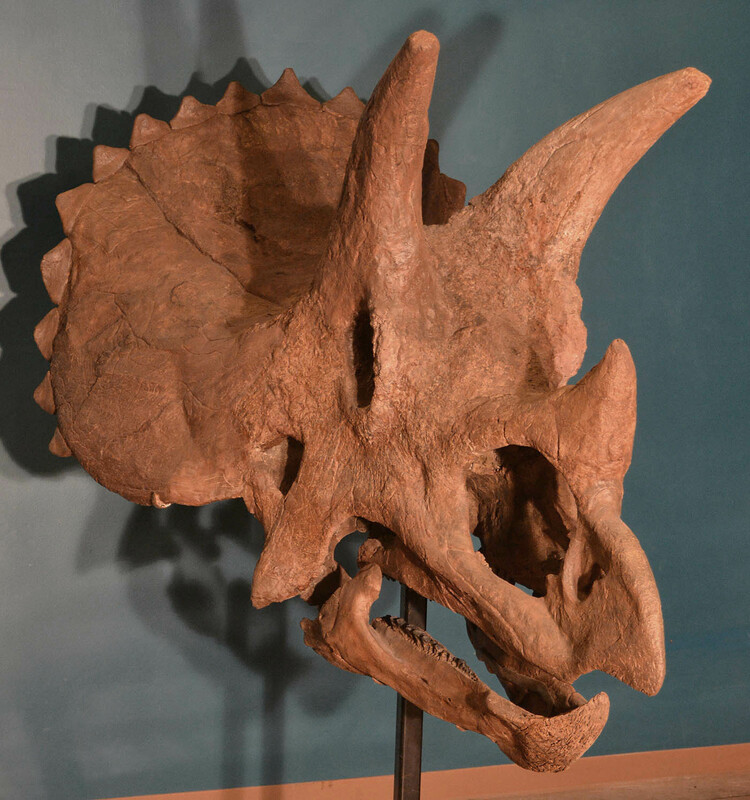 We've been so busy working the Avaceratops site in central Montana that I've hardly had a chance to think of this blog let alone update it. Luckily, that means we've found a lot of stuff, including most of the skeleton of this very rare animal. The site, which started out as a small hand dug pit at the bottom of a wash, ended up as a hole the size of a decent basement. Bobcat excavators, jackhammers and air tools (complete with 2 compressors running)made for a noisy and gritty dig site, but the work paid off. Prep is now starting in the lab with the ultimate goal of making a complete restored cast skeleton. We're slowly filling in our bone map, updating it weekly with the bones we're sure we have. Thanks to Scott Hartman for the base image. You can see more of his reconstructions here. As mentioned, the Avaceratops has a very faint set of skin impressions with it. Not extraordinarily spectacular, however it is the first time it's ever been found for this kind of dinosaur. I'm excited! Can you see the skin pattern?